The Fellowship was fortunate enough to obtain a copy of ESCAPE FROM NEW YORK #5 from BOOM! Studios. The story is written by Christopher Sebela, with art by Diego Barreto, colors by Marissa Louise and lettering by Ed Dukeshire. Sebela does a very good job not only capturing Snake’s attitude, but expanding the world that John Carpenter created in the classic cult film. Diego Barreto and Marissa Louise team up to create a striking visual that's pretty action-packed...almost cinematic. All-in-all, this has been a pretty fun and interesting series so far. 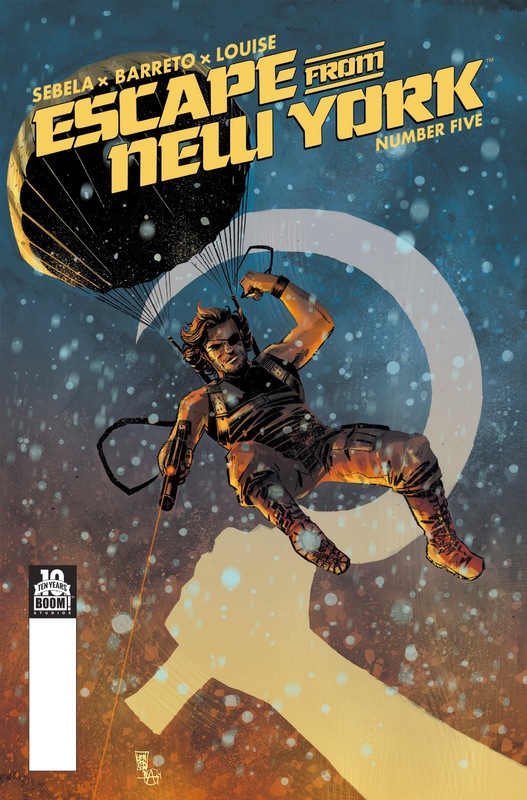 ESCAPE FROM NEW YORK #5 is in stores now, or available for ordering at www.boom-studios.com.